H/T to Dr Michele Casati for alerting us to a new paper in Nature Geoscience which finds that low solar activity is the likely cause of blocking highs bringing polar air into northern Europe during the little ice age. According to the Sciencedaily post about the paper, it also notes that solar activity is predicted to be low for the coming decades. Looking at the references isn’t obvious where this prediction comes from. I’ll look at the full paper later today and update the post. There were several centennial-scale fluctuations in the climate and oceanography of the North Atlantic region over the past 1,000 years, including a period of relative cooling from about AD 1450 to 1850 known as the Little Ice Age1. These variations may be linked to changes in solar irradiance, amplified through feedbacks including the Atlantic meridional overturning circulation2. Changes in the return limb of the Atlantic meridional overturning circulation are reflected in water properties at the base of the mixed layer south of Iceland. Here we reconstruct thermocline temperature and salinity in this region from AD 818 to 1780 using paired δ18O and Mg/Ca ratio measurements of foraminifer shells from a subdecadally resolved marine sediment core. The reconstructed centennial-scale variations in hydrography correlate with variability in total solar irradiance. We find a similar correlation in a simulation of climate over the past 1,000 years. We infer that the hydrographic changes probably reflect variability in the strength of the subpolar gyre associated with changes in atmospheric circulation. Specifically, in the simulation, low solar irradiance promotes the development of frequent and persistent atmospheric blocking events, in which a quasi-stationary high-pressure system in the eastern North Atlantic modifies the flow of the westerly winds. 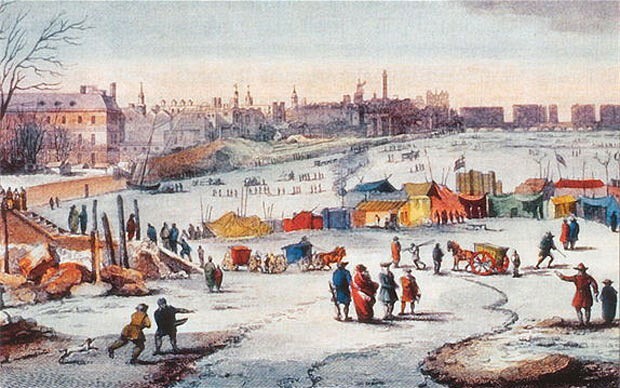 We conclude that this process could have contributed to the consecutive cold winters documented in Europe during the Little Ice Age. The study, led by Cardiff University scientists, in collaboration with colleagues at the University of Bern, is published today in the journal Nature Geoscience. The results of these analyses revealed large and abrupt temperature and salinity changes in the north-flowing warm current on time-scales of several decades to centuries. Cold ocean conditions were found to match periods of low solar energy output, corresponding to intervals of low sunspot activity observed on the surface of the sun. Using a physics-based climate model, the authors were able to test the response of the ocean to changes in the solar output and found similar results to the data. Meteorological studies have previously found similar effects of solar variability on the strength and duration of atmospheric winter blockings over the last 50 years, and although the exact nature of this relationship is not yet clear, it is thought to be due to complex processes happening in the upper layers of the atmosphere known as the stratosphere. Tallbloke you have pdf here. Solar effects on climate are clearly greater than the small (0.1%) decadal variation in total solar irradiance the IPCC uses to dismiss solar influence. Bad science IPCC, no cookies. 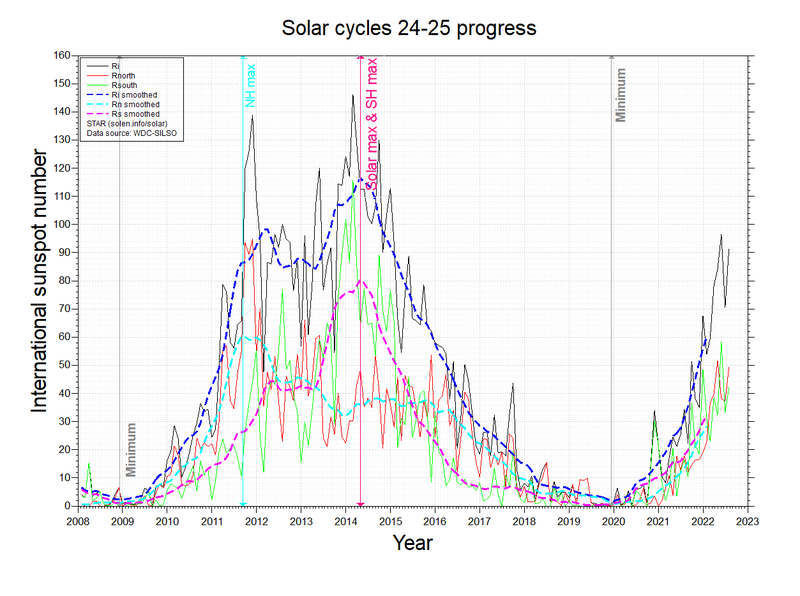 the presence of a 200-220 year de Vries solar cycle (also known as Seuss Cycle). Thanks ren. We know that the medieval warm period was global in extent from the many studies done all around the world. The climate science establishment is keen to compartmentalise natural variability effects into ‘regional climate’ in order to keep their ‘global climate change caused by co2’ narrative on track. Unfortunately for them, the Antarctic as a whole has refused to warm, the high latitude southern ocean has been cooling since the mid 1980’s. And the ‘adjustments’ to the temperature data of Australia and New Zealand have been exposed. ‘Global warming (and sudden cooling) is largely a northern hemisphere phenomenon. This fact doesn’t sit well with co2 being ‘a well mixed gas’, with similar levels worldwide on the annual average. The take home conclusion is that natural variability is playing a bigger role in ‘climate change’ than the UN/government funded IPCC and government funded national science institutions are willing to admit. Predictions suggest a prolonged period of low sun activity over the next few decades, but any associated natural temperature changes will be much smaller than those created by human carbon dioxide emissions, say researchers. Thanks ren. We know that the medieval warm period was global in extent from the many studies done all around the world.</blockquote. Ah – it may be present everywhere but was its impact always warming? On the telly here the other night a small bloke talking about Scottish forests. 4000 years ago the country was covered in Caledonian pine wood from head to toe and then the climate suddenly became much wetter and vast areas of trees died as soils became acid. The lesson learned was that climate can change quickly, not that it may change of its own accord. It can be seen that temperatures the Atlantic is associated with the position of the polar vortex. It is worth also be noted that changes the position of the magnetic pole. If predictions of lower solar activity over the next few decades have become ‘standard narrative’, we shoud be able to find the source of these predictions and see what forecasting technique they are based on. I’ll have a look at the full paper later and see who they reference. We do not know what x, y, z, and w are. To assume that any one of them is 100% is silly, so they are likely all rather small. If we assume they are equal, that gives us 25% for each which to within a factor of 2 sounds reasonable. He’s ignoring the medium term cycles in oceans which correlate with LOD (and planetary motion) but we’ll get to those. If the updated measurements of solar ultraviolet irradiance are correct, low solar activity, as observed during recent years, drives cold win- ters in northern Europe and the United States, and mild winters over southern Europe and Canada, with little direct change in globally averaged temperature. Its possible they are partly correct. Euan: Look at the paper ren linked. the blocking patterns bringing cold into northern Europe also push the wet and windy stuff down over Iberia and the mediterranean. That’ll make it colder there too. However, the question is, what was the LIA like in Siberia and N. America? In this case, the main large size graph is particularly impressive. Based on the chart, it doesn’t look like they screwed around with the basic data. Be10 and volcanic influences on TSI, very closely correlated to the temp from do18. I don’t think anyone has done this at high resolution before. Just for reader’s info, in the journal “Nature”, the link to the large scale charts will have “fig_tab” in the link line or “images_article” rather than “carousel”. Just change it in the link line. 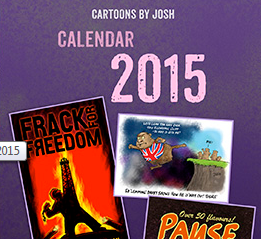 small image with carousel below. Tallbloke look at solar activity. Vortex pattern formed in October, when solar activity was a significant decrease. Then the activity increased. It was protected Europe against the blockade. Consider that solar variability may not be the “direct” cause of the wind shift due to watts per square meter but of the amount of insolation affecting phytoplankton growth. The color of water affects its albedo. Higher insolation encourages greater biological growth which in turn affects the ability of the water to “store” heat at the surface via lowering albedo to allow “more” light to penetrate the surface instead of being reflected and the specific heat of the water since it is a “solution” of H2O and biological matter. Regarding w, x, y, & z = 25% to within a factor of 2: If this is “science”, then I say ___ science (starts with a capital “F”). If I were to follow through with writing what needs to be said about this dark veil, it would pass moderation nowhere. What we sacrifice to afford civility includes the truth. The sacrifice is unsustainable. Rog, Leif commet is funny. Nature Geoscience, open or close on the solar-climate connection ? Last words, phrases ….important in communication ! It is worth comparing Ap in winter in December, January and February 2013 with Ap in October 2013 and January and February 2014. Due to the weakening of the Sun’s magnetic field over a long period of time, which is perfectly visible, solar activity will have a huge impact on the climate in the high and mid-latitudes. @ren You are correct. A weak solar magnetic field is caused by chaos in its’ organization. A more chaotic Earth magnetic field is the result. I am not sure of the cause but I would guess the Solar system barycenter mixing of the Solar furnace is the culprit. Continue? Should say ‘resume’ as there’s nothing happening this century so far. And if water vapour – i.e. by far the largest GHG – declines there won’t even be a net GHG increase. They have no idea what water vapour is going to do, so of course this is just the usual cliche to satisfy the reviewers. Even last millennium they couldn’t make the Antarctic toe the line. 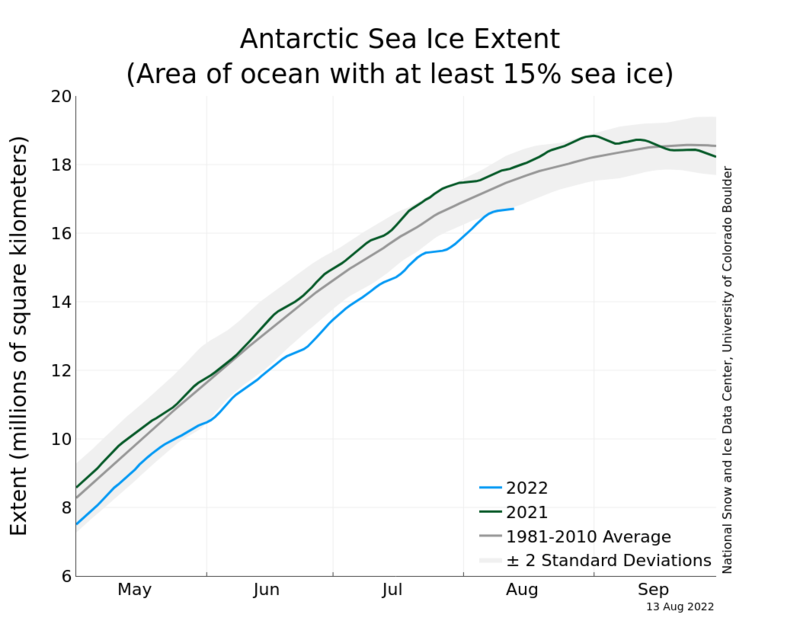 The polar seesaw is unlikely to go away any time soon. I agree with you that electromagnetic forces could have a significant effect on the movement of material both here on earth and on the sun. It may be that the earth is acting like a homopolar motor and the injection of the solar wind and the alteration to the CGR flux alters the magnetic field and then the flow patterns of air and water on earth through the Lorenz force as these materials move through the field. There is reason to believe that the sun also interacts with the magnetic field of the Jovian planets in some as yet undetermined way modulating the solar cycle. Forecast polar vortex at an altitude of about 17 km on March 16. Winter returns to Europe. Pressure distribution at a height of 15 km. Maybe a meteorologist can help me out here. Aren’t ALL Highs technically a “blocking high”? nothing gets by them more or less by definition. Lows may worm and squirm, the jet streams may flow down hill towards them, but Highs stay resolutely uphill deflecting all around them. The term gets bandied about these days as if it were a new or rare phenom. Is it? Of course there is also the pernicious ‘stationary high’, possibly the worst of the new breed. Can anyone tell me what has really changed? other than terminology? W^3, the idea of persistent highs (especially over Greenland) has been around a century and more. as has ‘the Aleutian low’. TB, thanks, what I’m really interested in is if there is something new and different going on – or claims to that effect – that we didn’t all learn in ‘Weather for Mariners’ years ago. W^3: Same sh1t, different decade. Or century. Steve Goddard recently posted a newspaper clipping from the 1920’s discussing nlocking. Ok, that’s about what I figured. Was the Chinese moon rover damaged by electrostatic forces?